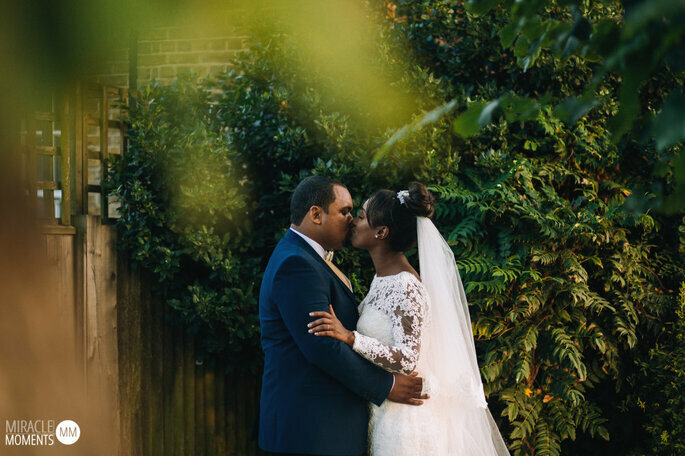 Michaela and Robert's Warm and Wonderful Wedding! 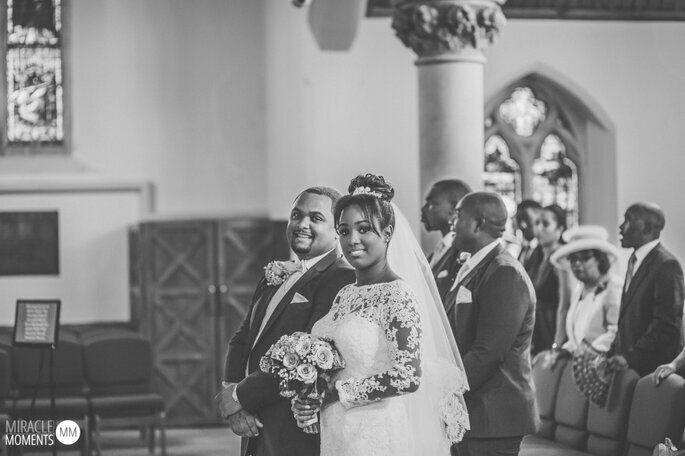 Seek inspo from this wonderful couple who focussed their day on bringing joy and happiness to their nearest and dearest! 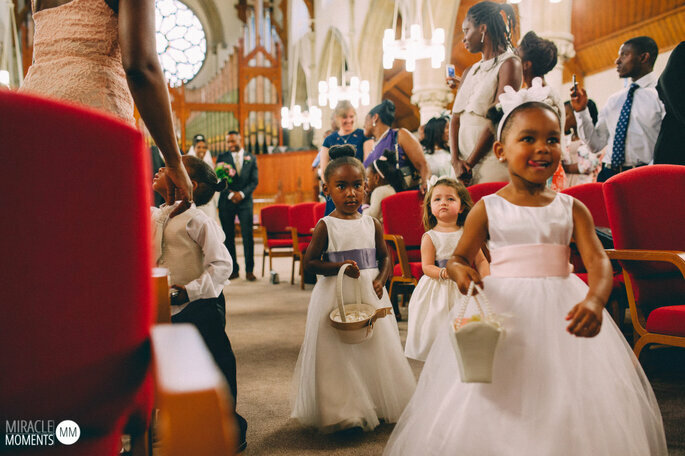 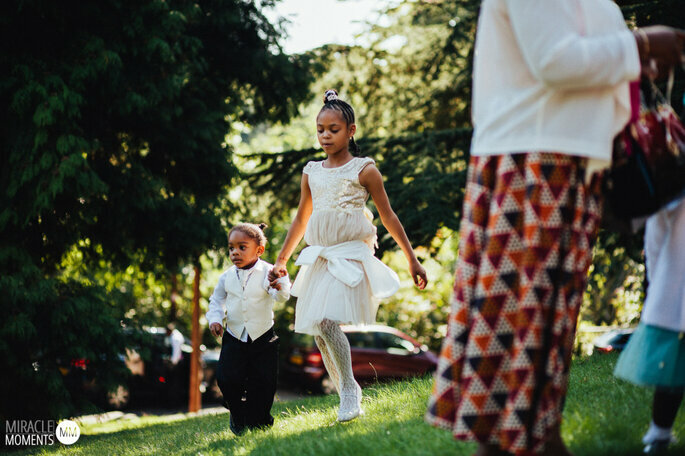 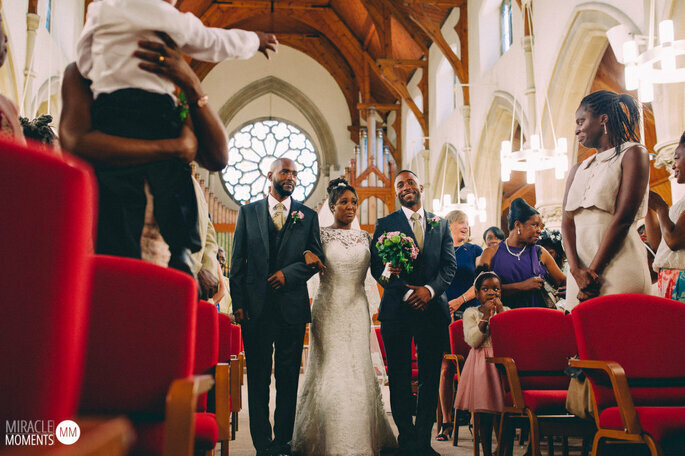 This classic wedding was magically captured by exceptional photographers Miracle Moments, who told us they really felt part of the family at this wedding. 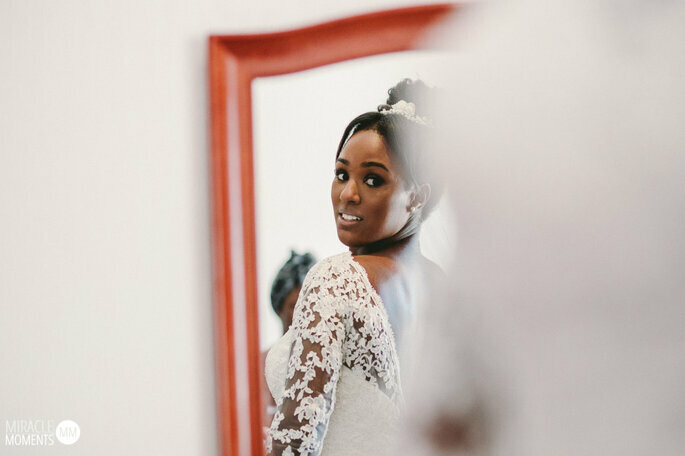 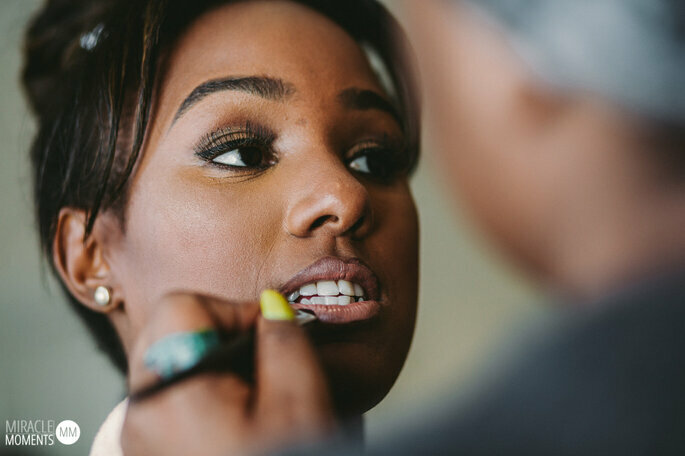 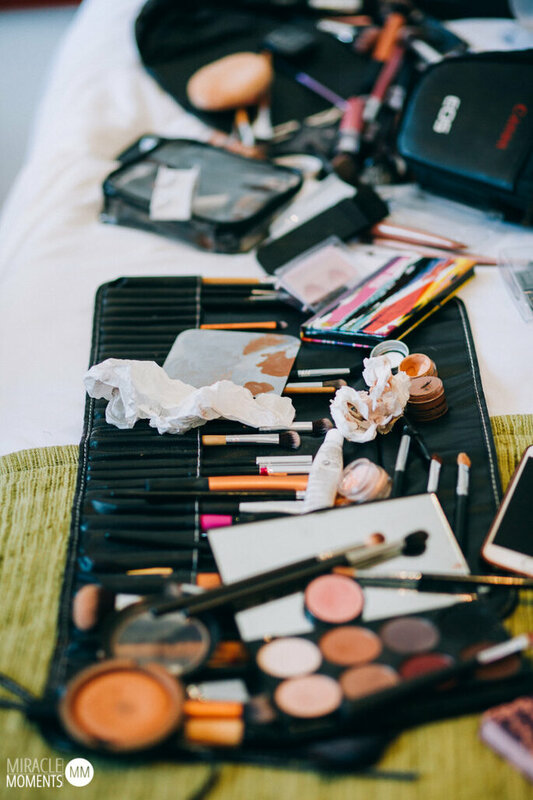 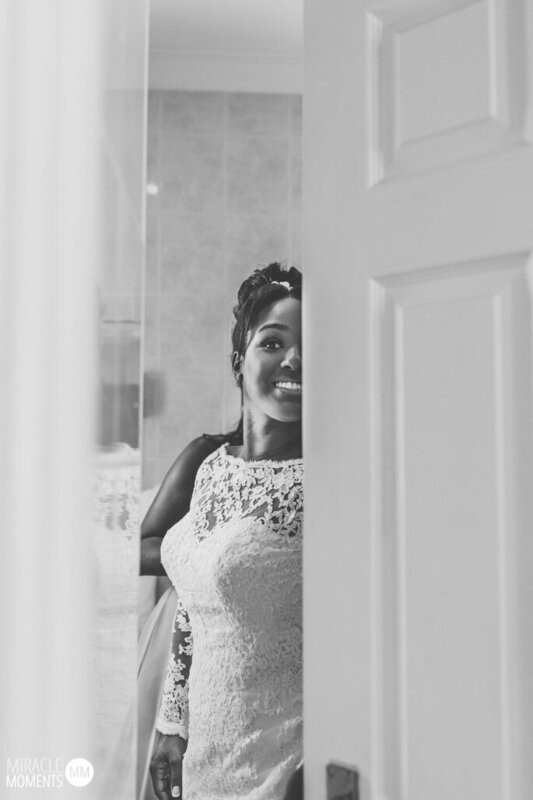 We love the candid style of photography they used to great effect here, transporting you right into the heart of Michaela and Robert’s big day. 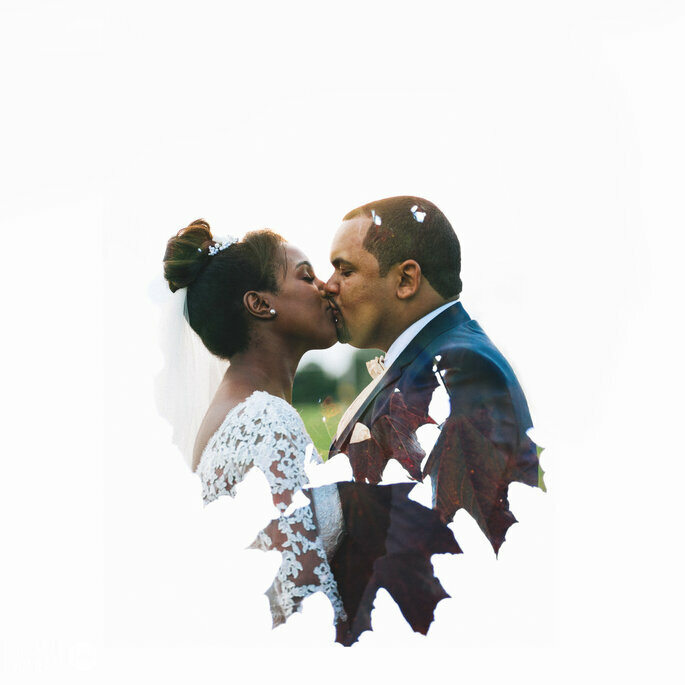 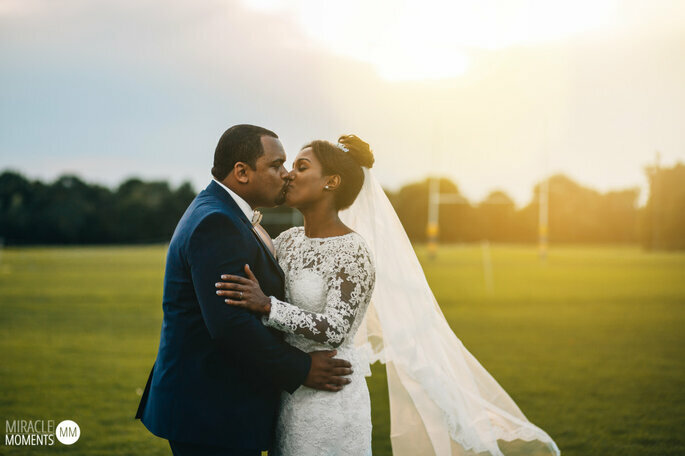 The kind hearted couple at the centre of this wedding are Michaela and Robert, a match of two vivacious personalities of great energy and charisma. 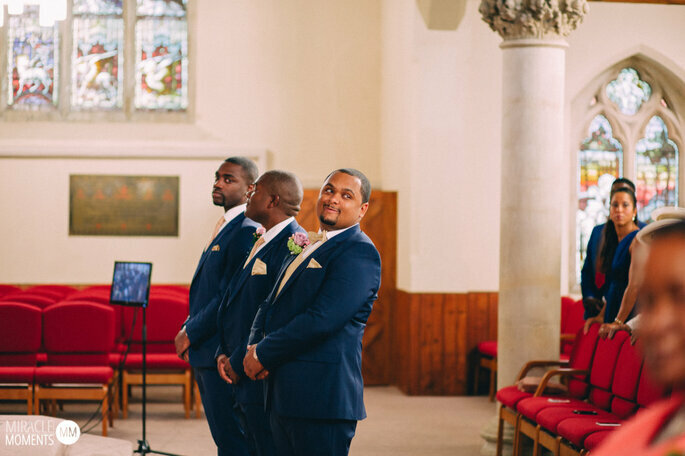 This really shone through in their wedding photos, where fun was very much the order of the day. 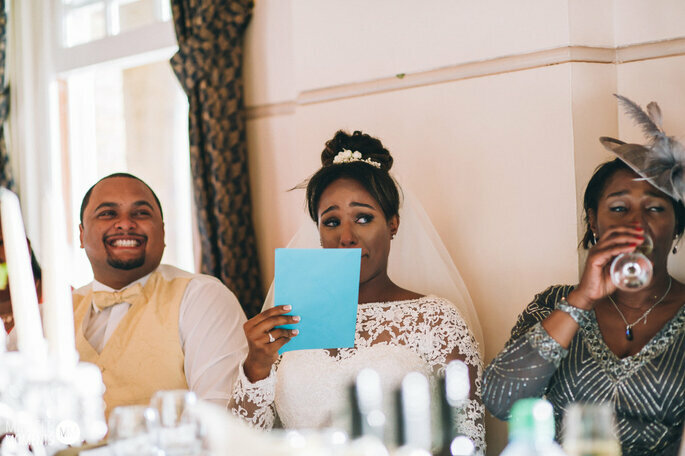 This was a fun packed part of the day, so much so that it’s hard to believe that the bride wasn’t late for the ceremony! 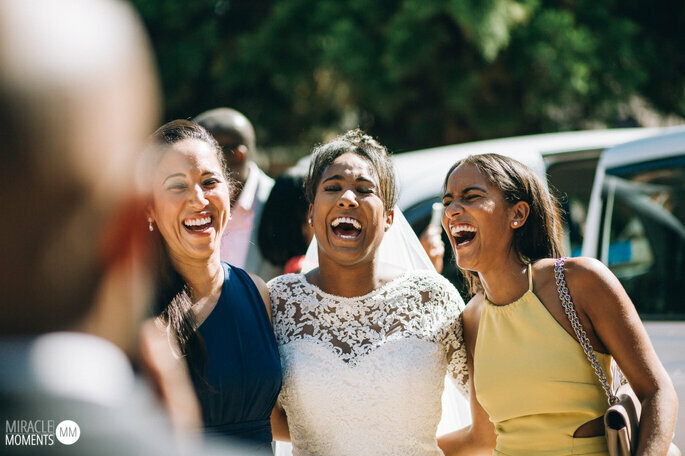 While the bridal party got ready together, you could barely hear the music for all the laughter that was going on. 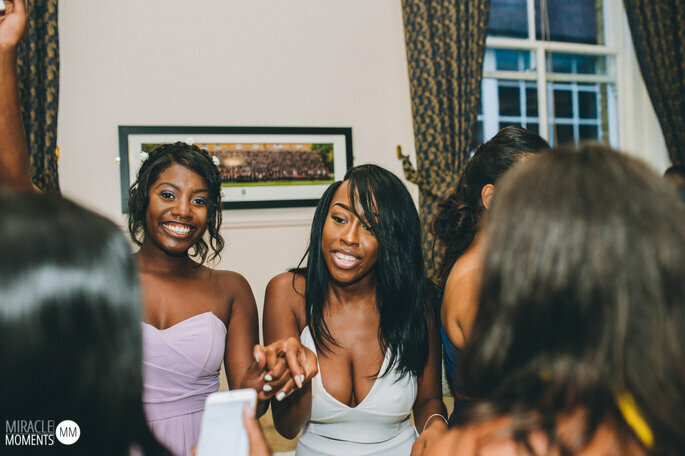 Champagne was flowing and selfies were being taken left right and centre; real party vibe making for the best bridal prep squad goals! 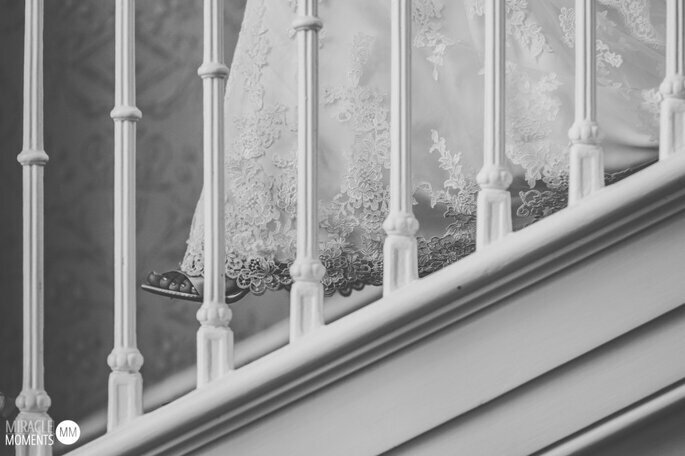 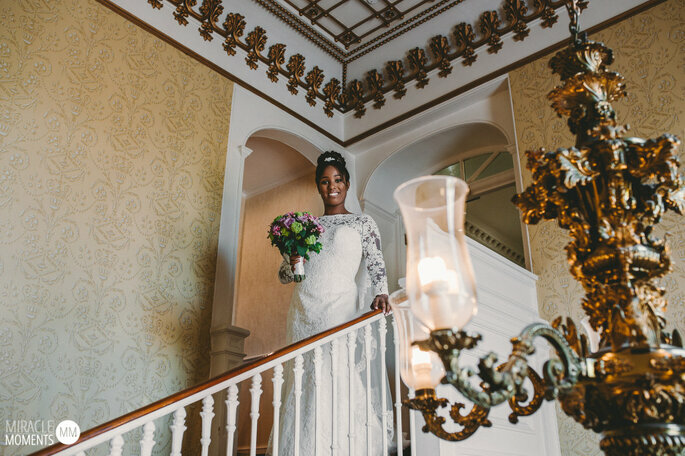 Everyone was left speechless when Michaela, looking stunning, walked down the stairs ready to head to the church. 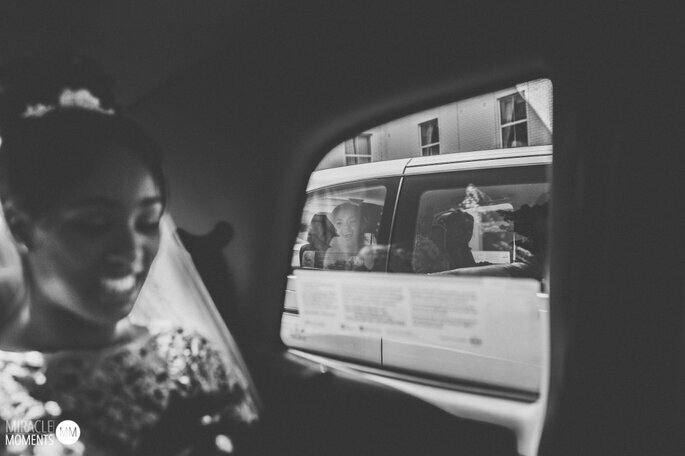 Everything was perfect – her dress, hair and make up, the bouquet and most of all her captivating smile. 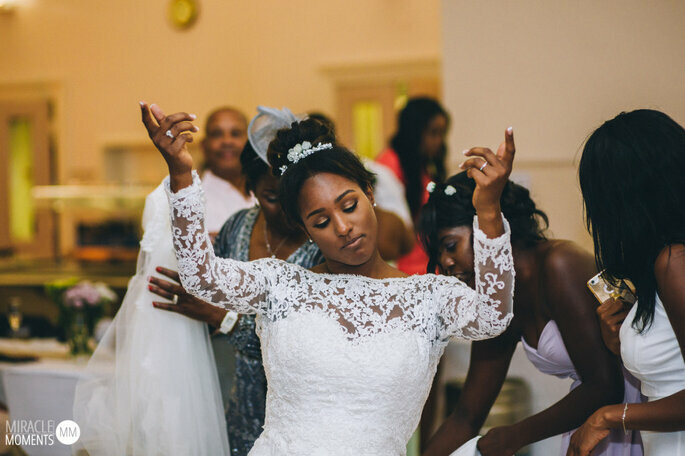 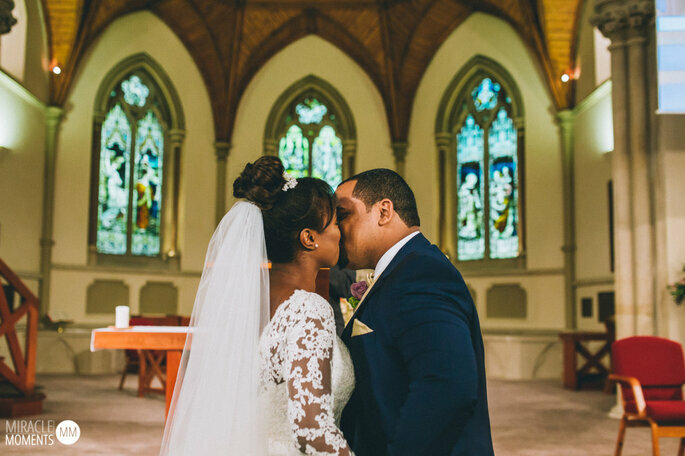 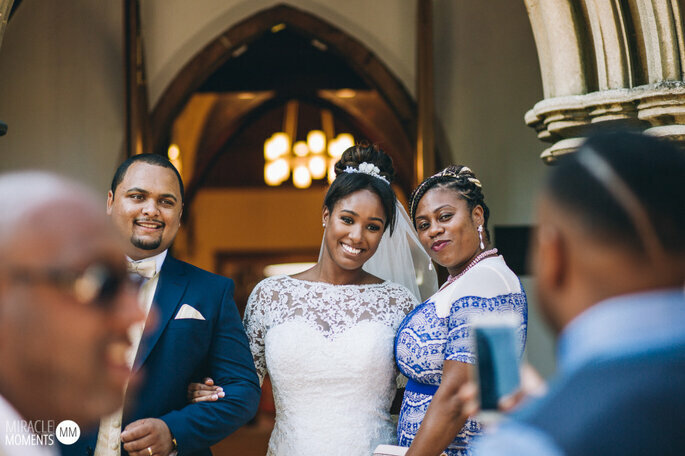 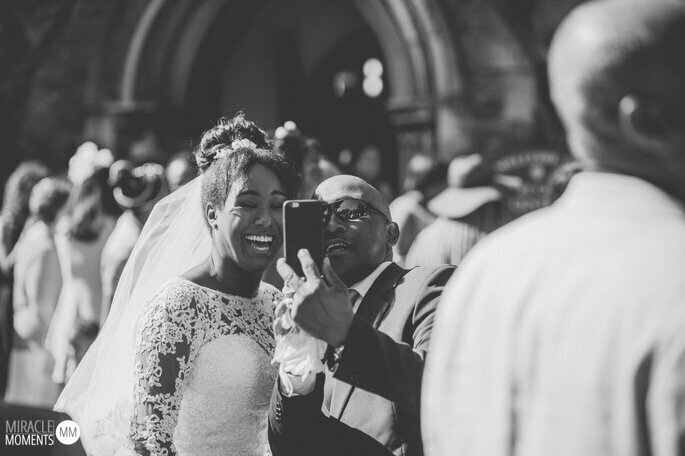 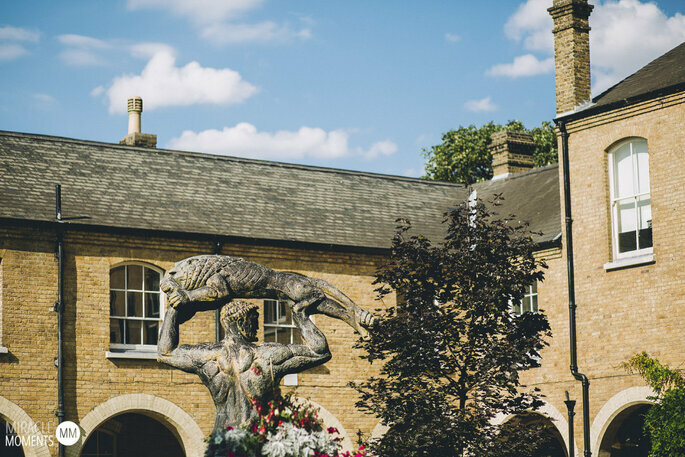 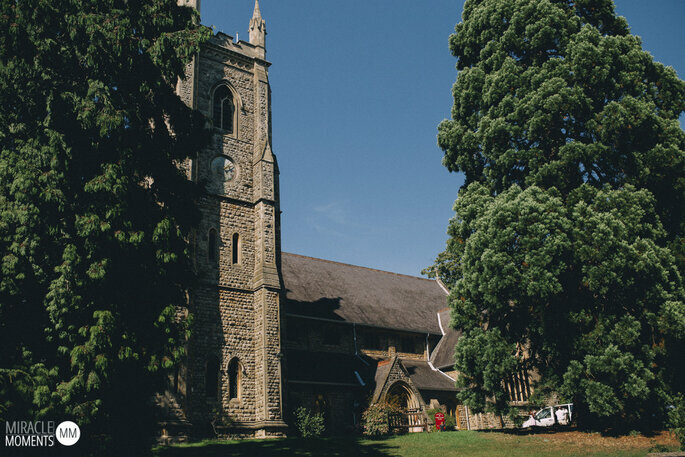 The ceremony took place at the warm and vibrant Christ Church in Chislehurst, whilst the beautiful reception was held at Eltham College, Mottingham in South East London. 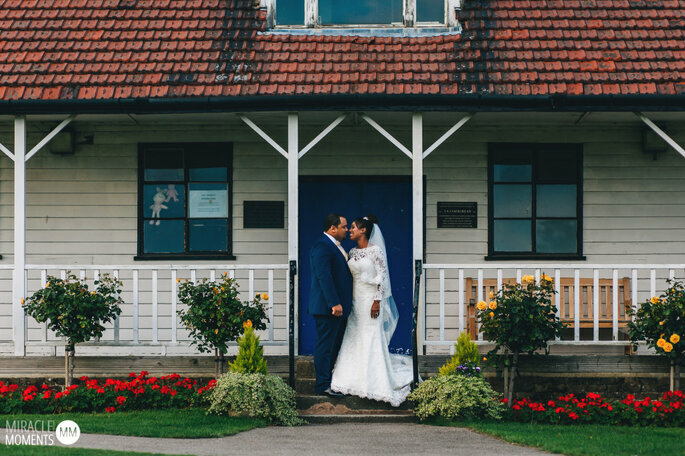 The splendid Georgian manor house is set in almost 70 acres of land and is nothing short of spectacular. 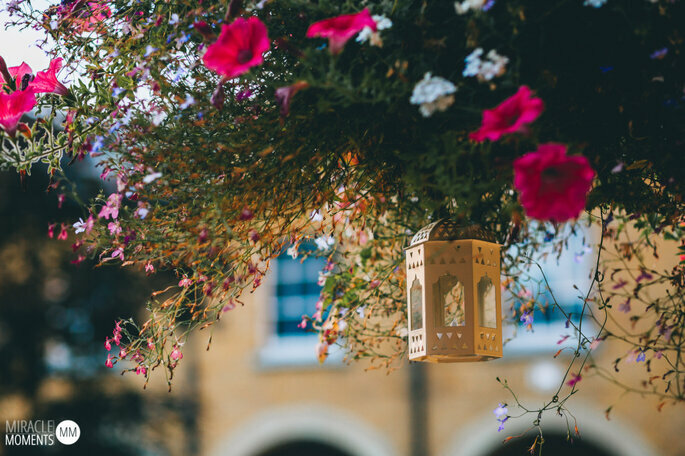 When the sun goes down the view from the grounds is simply beautiful. 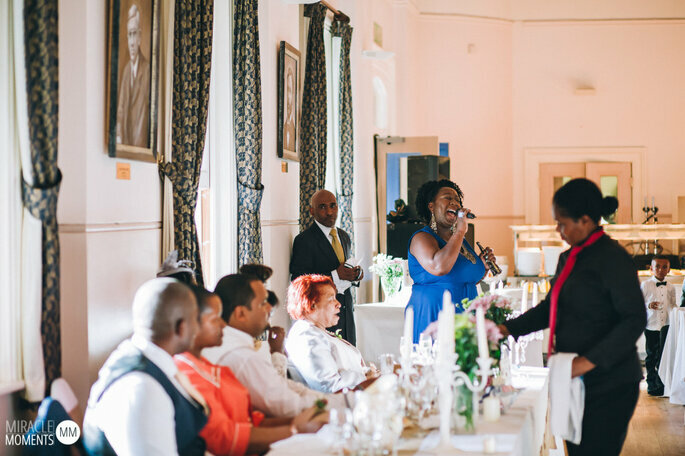 Plus the massive dance floor is something to get really excited about! 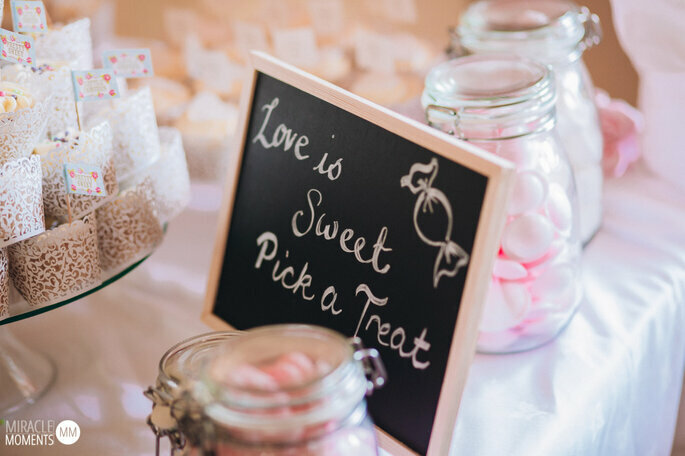 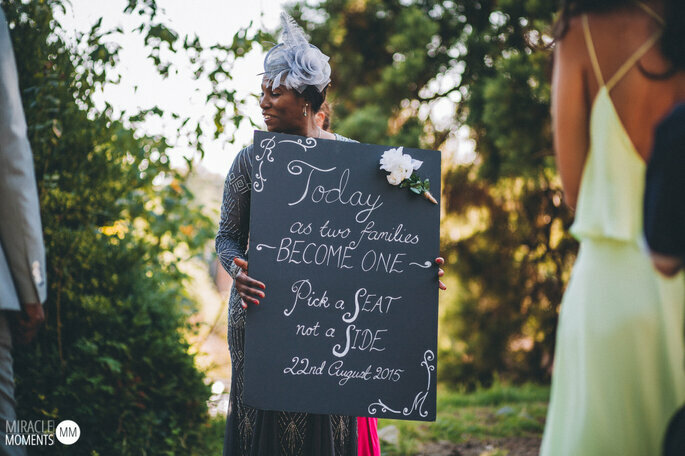 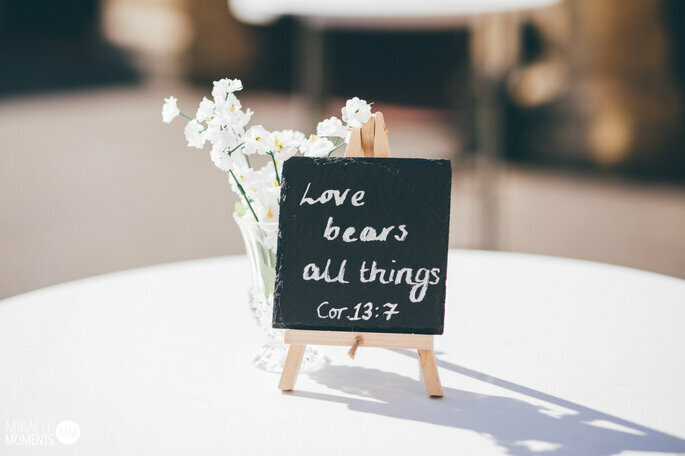 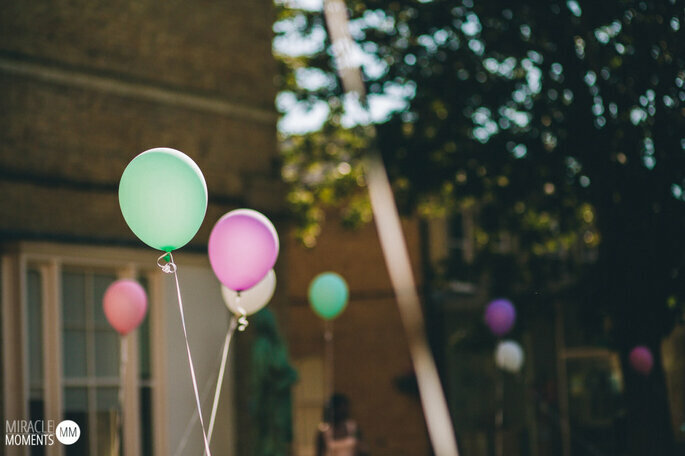 Michaela went for balloons and chalk boards with cute quotes to decorate the venue and give the day a personal and unique feel. 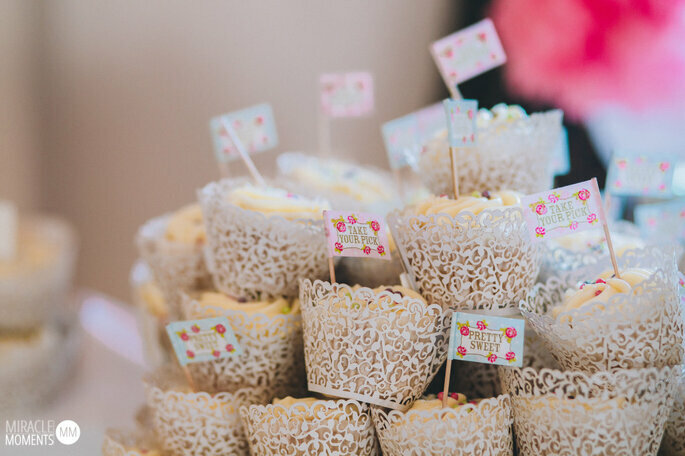 We especially loved the goodies on the dessert table to keep both adults and tiny guests happy! 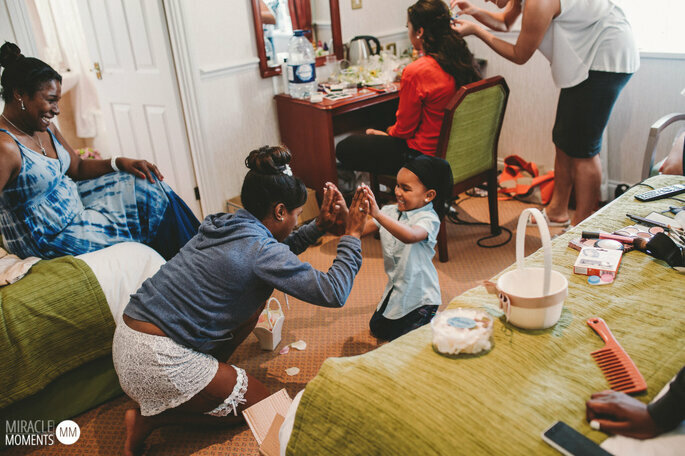 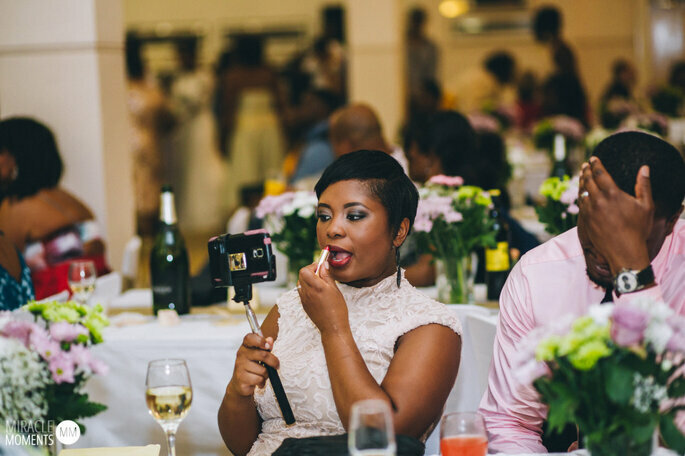 What sums up your wedding day is the atmosphere and the way your friends and family come together to celebrate your love. 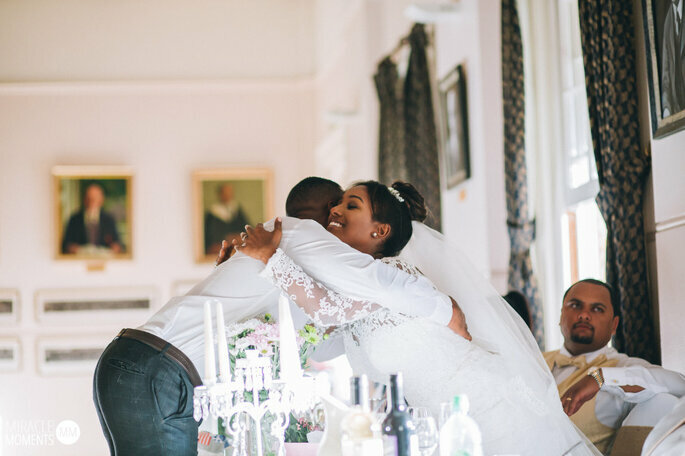 This can be felt during the speeches in a big way, a truly emotion filled part of the day. 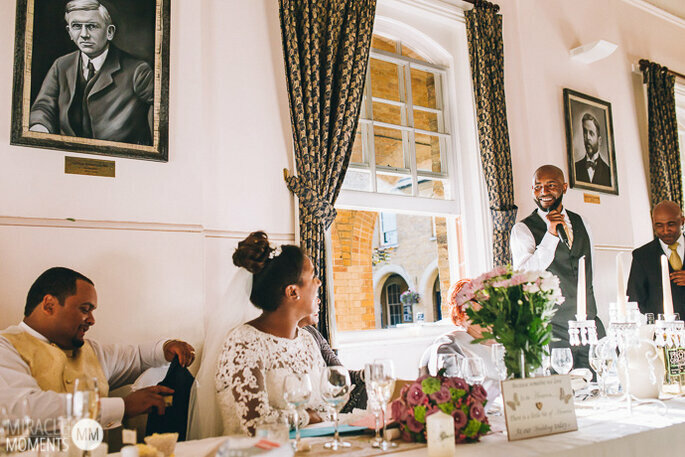 One of the most memorable speeches was by Michaela’s brother who moved his sister to tears with his stories of their childhood and also managed to have Robert and every one of the guests roaring with laughter. 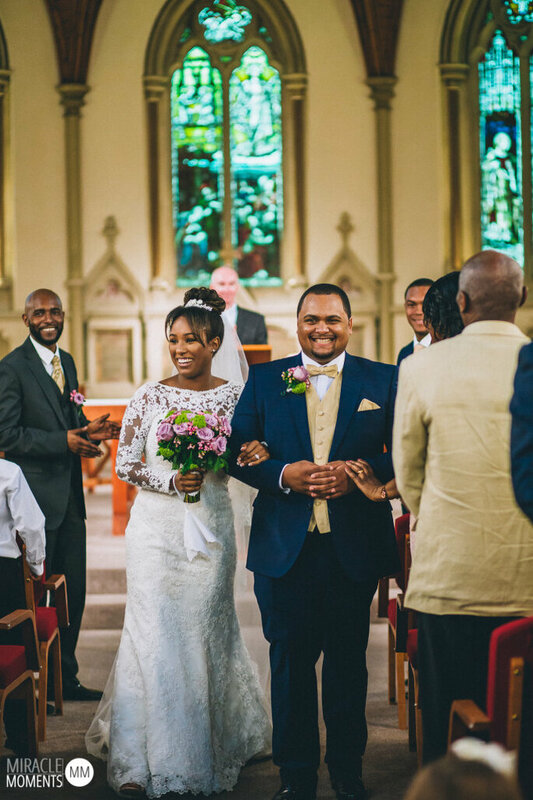 There was so much love surrounding the lucky couple that at one point a guest spontaneously began to sing for them leading to more happy tears all around. 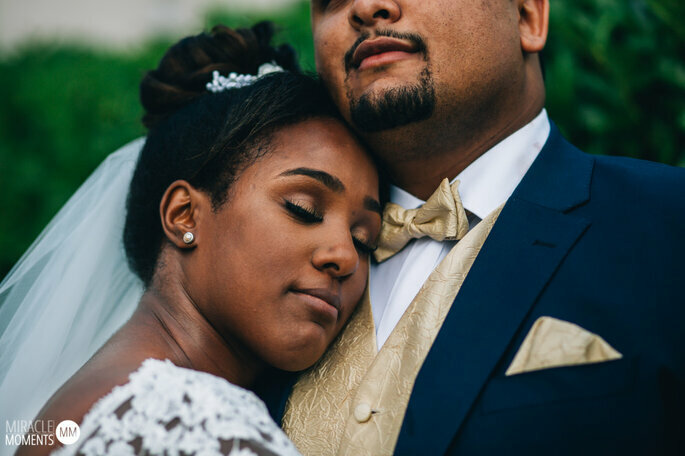 A fitting day for a fantastic kind and warm couple, who really made this day extra special from the details and decor to the energy they bought with them to the reception so beautifully captured by Miracle Moments. 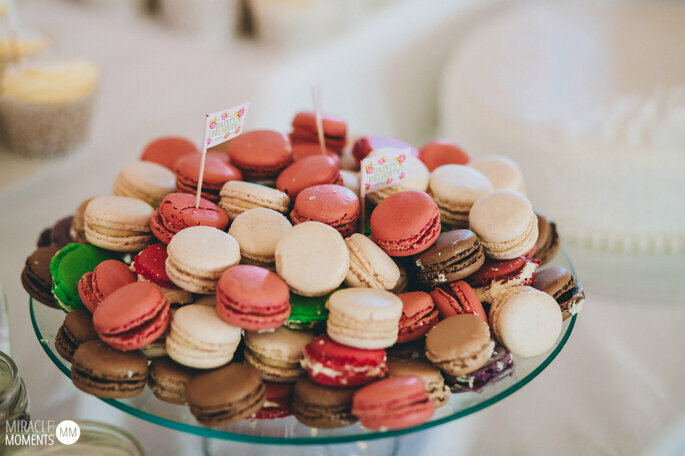 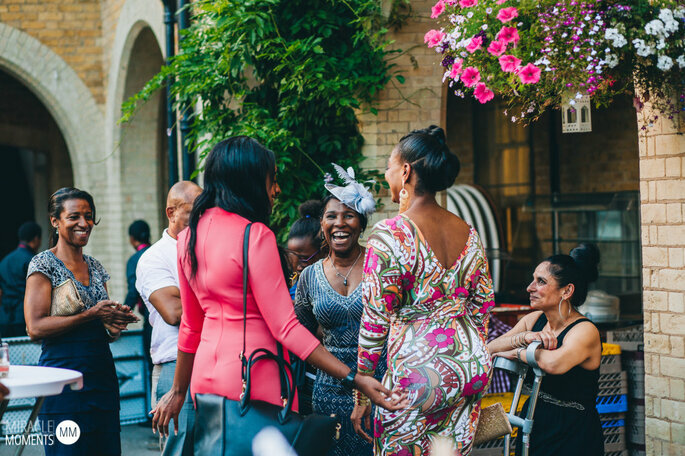 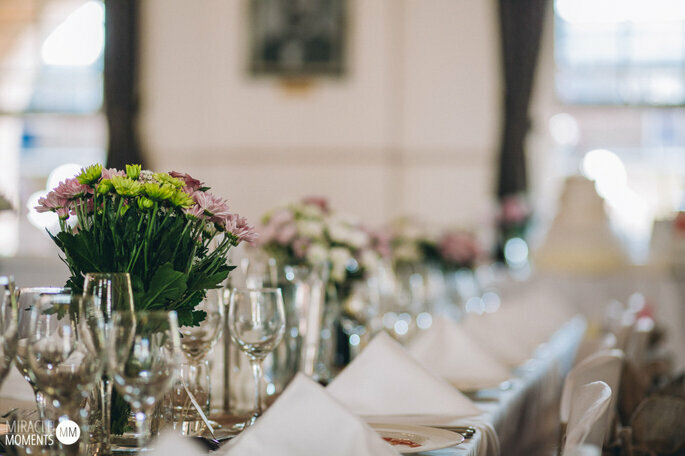 To make your day an amazing event to be enjoyed by all check out our fave caterers that will leave your guests impressed and ready to party on your big day.